Celebrate Our Twenty Years Anniversary! Jackie Kerr Recruitment is a teenager no longer! 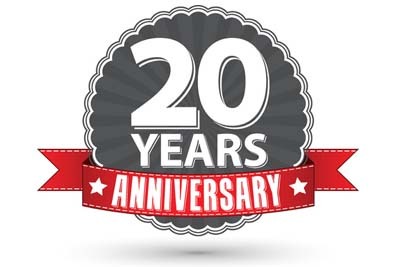 In July 2017, Jackie Kerr Recruitment will celebrate twenty years of placing top quality candidates into local organisations across Wiltshire, the surrounding counties, London and occasionally overseas. We have got hold of some amazing twenty year old bottles - so, whether your tipple is a 20 year old malt whiskey, some great vintage champagne, or a 20 year old classic bottle of red, we would like to share them with you. Your introduction won't be wasted. There is a reason why we have thrived over twenty years and, fundamentally, that's because we are very good at what we do! This, in turn, means that our clients come back to us time and again for their recruitment needs - keeping us fully occupied in gainful employment! Just because we've been in business for 20 years, that doesn't mean we are old… in fact, we're classic! So, contact your friend, prepare your wine cellar, and give Jackie a call! Claim your vintage gift on 01793 762026 or email Jackie and her team at: jackie@jackiekerrrecruitment.com.